The Painting Center is pleased to present Paintings by Caren Canier in the Project Room. Canier’s paintings in mixed media borrow imagery from the classical world along with nineteenth century and contemporary photographs to create images about human experience of time, history and memory. Her technique involves a combination of collage and painting. Much of her work is informed by time spent in Italy, where layers of history are visibly embedded in the fabric of contemporary life. Recently she has also borrowed imagery from her personal family history, using snapshots from the 1940's and 50's to evoke a sense of time and place particular to the American immigrant experience of post war New York City. These paintings address the nature of snapshots and the way in which they freeze and record intimate memories to create mythologies not only for particular families but also for generations. Canier studied with Philip Guston and James Weeks at Boston University where she received her MFA, having attended Cornell University as an undergraduate. In 1977 she was awarded the Rome Prize Fellowship of the American Academy in Rome, where she spent a year in residence. The time spent in Rome had a profound influence on her work and she has returned to Italy frequently. She is a Professor in the Arts Department at Rensselaer Polytechnic Institute where she teaches Painting, Drawing and Design as part of a multidisciplinary arts and media program. 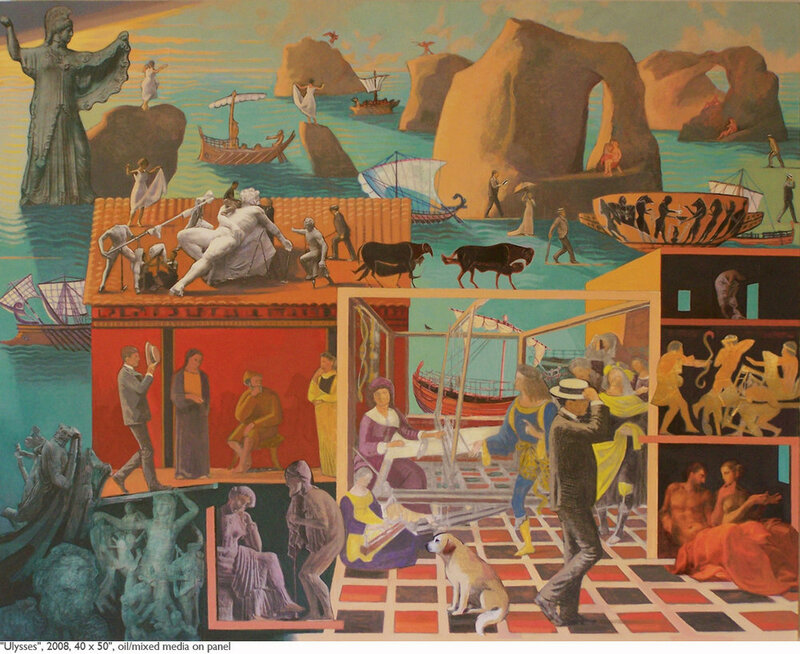 Other grants include New York State CAPS (1980), two Artists’ Fellowships from the New York Foundation for the Arts (1985, 1990), an Ingram Merrill Foundation Grant (1986) and a Pollock-Krasner Foundation Grant (1990). Canier was represented by the Robert Schoelkopf Gallery in New York until it’s closing in 1991 and had two oneperson shows there (1985 and 1991). Since that time she has had numerous one-person shows including The Bowery Gallery (2001), Boston University (2002), The University of New Hampshire Art Museum (2002), Fairleigh Dickenson University (2002), Concordia University, Ann Arbor (2005), Drew University (2009), and the Civitella Ranieri Foundation, Perugia, Italy (2009).